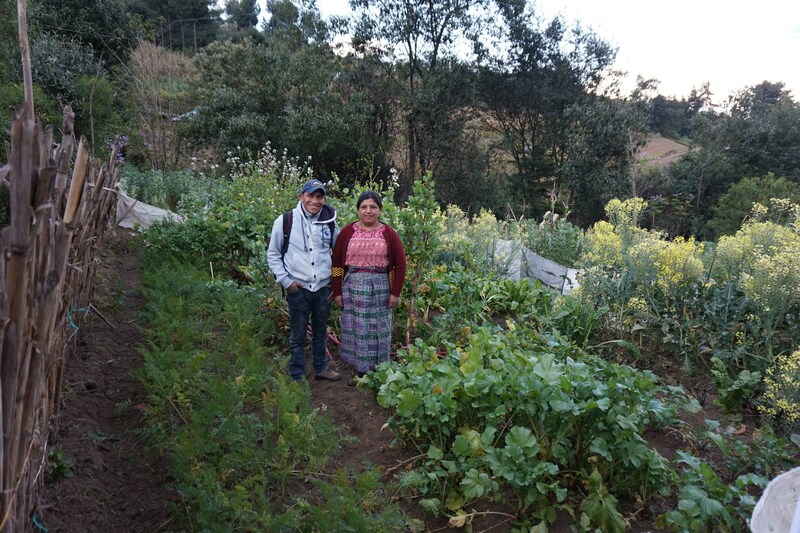 In Guatemala, PWS&D is helping farmers care for creation. Each year on April 22, PWS&D joins the world in celebration of Earth Day—a time to reflect on the uniqueness of God’s creation and the ecosystems that nourish and sustain us. Earth Day also provides the opportunity to reflect on how small-scale farmers’ lives and livelihoods in the global south depend on a healthy, vibrant creation. With Canadian Foodgrains Bank and partners overseas, PWS&D is working to promote environmental stewardship and creation care while helping vulnerable communities break cycles of hunger and poverty. PWS&D is helping eliminate the need for costly chemical fertilizers for crop production by teaching farmers methods like intercropping, which helps preserve nutrient-rich, healthy soil and increase crop yields. Widespread deforestation has eroded crop-producing soil and led to increased flooding and landslides. Many rural families are facing food insecurity as a result. PWS&D support is helping to replant forest areas and teach farmers agro ecological farming methods to restore soil fertility, plant trees and establish seed banks. In the wake of a changing climate, PWS&D is helping farmers restore creation and reduce hunger by teaching conservation agriculture—a farming method that involves minimal soil disturbance, crop rotation and recycling plant materials. With this support, farmers are growing more food and better resisting the effects of climate change. In poor rural communities, PWS&D is helping combat hunger by teaching farmers sustainable agriculture methods like natural pest management and water conservation and providing seeds to restore farmland. After learning to plant community nurseries, families are also eating more fruits and vegetables. Recent flooding has led to poor soil quality and the rising cost of water and seeds for farming. As a result, many rural families are left hungry. In response, PWS&D is helping provide seeds and training that are equipping farmers to improve soil fertility, increase yields and build resilience to natural disasters. Participants are also educated in kitchen gardening and maintaining a balanced diet. This Earth Day, consider making a donation to one of these projects that are helping to nourish God’s good earth and its inhabitants. Call your church together into a time of praise and prayer with All Creation Sings—a new Earth Day worship resources available from the Canadian Foodgrains Bank.